There are so many ways a Canadian holiday can rewind you. This kind of holiday makes sure that you can get new energy to bear life. The Canada visitor visa is available for 6 months. Apply for a tourist visa to Canada and get the perfect adventure of your life. One of the most enthralling activities you can undertake in Canada is the train ride between the two cities of Vancouver and Toronto. Lasting for three days, this train ride is an activity of fun and adventure because you get to watch landscapes such as the Prairie Provinces from the train. That’s why it’s so desirable to be a part of the 3-day long train journey. Tourist visa for Canada for Indians is available for them to be a part of these experiences. Old Quebec is also an enthralling region in Canada. Saint Louis Fort was constructed in this region by the French ruler, Samuel de Champlain in 1608. The area used to have a heavy military presence. Now, so many tourists come here every year to view so many boutiques situated here. The Old Quebec is not only a place of historical importance but also beautiful because it’s located near the Saint Lawrence River. The Rue Saint-Jean is a shopping street located in Old Quebec. Old Quebec has also got the ancient church of Notre-Dame de Québec Basilica. This church was built in 1647 and has been built beautifully. Canada is a region filled with so many astonishing places. There is the Whistler where you can ski to your heart’s content. Whistler consists of two mountains called the Whistler and the Blackcomb. The skiing season in this area ranges from November to May. There is no dearth of terrain to ski you in this area and there is 8,100 acres available you to ski. If not in the mood to ski, you can also watch snow covered trails or laze around in any of the terrain parks. You can also be part of the gondola rides and stare at the mountains. There is also room for more activities such as snowmobiling. The area of Whistler has Hilton located here. You can also stay here while you decide to have the skiing adventure of your life. Heli-skiing is an amazing experience you can have while in Whistler. You will ski under the supervision of guides. 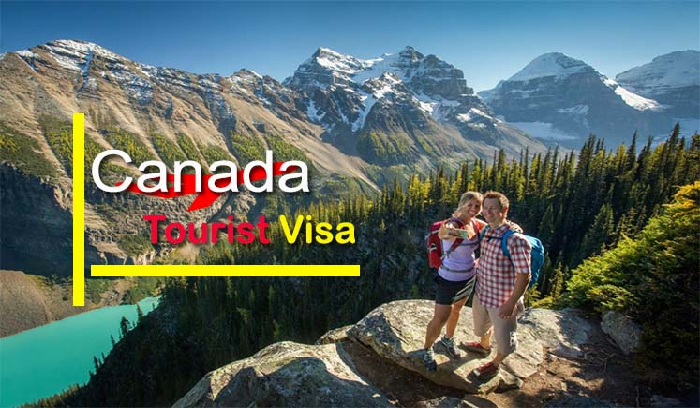 Apply for a tourist visa to Canada and get this visa easily. The tours which happen in Whistler consist of picking up the tourists from their hotels in the Whistler Village and then taking them to ski in the region. You also get a free lunch while you are a part of skiing tours. Apply for a tourist visa to Canada and get to stay in the Whistler Village. There are condominiums equipped with kitchens located in the Whistler Village where you can enjoy yourself to the hilt. Imagine waking in the snow-covered townhomes every morning before you embark on a skiing trip of Whistler. These town homes are located 300 meters above the Whistler Village. So, get the Tourist visa for Canada for Indians and be a part of this amazing scenery.